[S45] Marcellus Donald R. von Redlich, Pedigrees of Some of the Emperor Charlemagne's Descendants, volume I (1941; reprint, Baltimore, Maryland, U.S.A.: Genealogical Publishing Company, 2002), page 37. Hereinafter cited as Pedigrees of Emperor Charlemagne, I. [S12] C. Arnold McNaughton, The Book of Kings, vollume ii, page 538. [S5] Dulcie M. Ashdown, Victoria and the Coburgs, page 132. 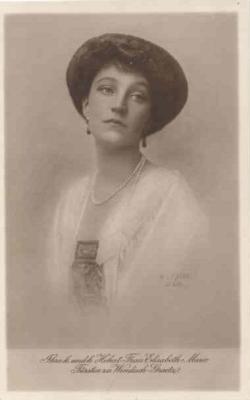 She was given the name of Alexandrine Luise Amalie Friederike Elisabeth Sophie at birth. Marie Antoinette Kohary of Csabrag was born on 2 July 1797 at Ofen, Budapest, Hungary. 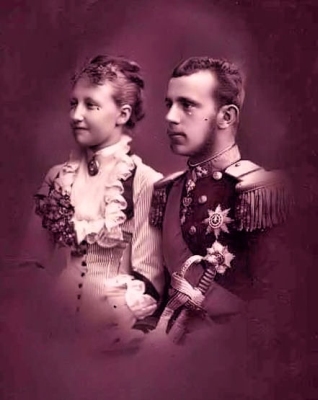 She was the daughter of Friedrich Josef Kohary of Csabrag, Prince Kohary of Csabrag and Marie Antionette von Waldstein-Wartenberg.2,3 She married Ferdinand Georg August Prinz von Sachsen-Coburg-Saalfeld, son of Franz I Friedrich Anton Herzog von Sachsen-Coburg-Saalfeld and Auguste Karoline Sophie Gräfin Reuss zu Lobenstein und Ebersdorf, on 2 January 1816 at Vienna, AustriaG. 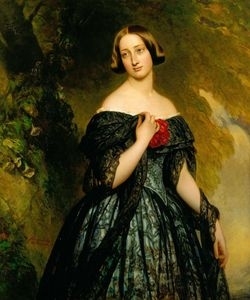 She died on 25 September 1862 at age 65 at Vienna, AustriaG. She was also known as Marie Antoinette de Kohary. [S16] Jirí Louda and Michael MacLagan, Lines of Succession: Heraldry of the Royal Families of Europe, 2nd edition (London, U.K.: Little, Brown and Company, 1999), table 41. Hereinafter cited as Lines of Succession.